It’s officially basketball season. Big C received a mini basketball hoop for Christmas this year. It’s been a huge hit. 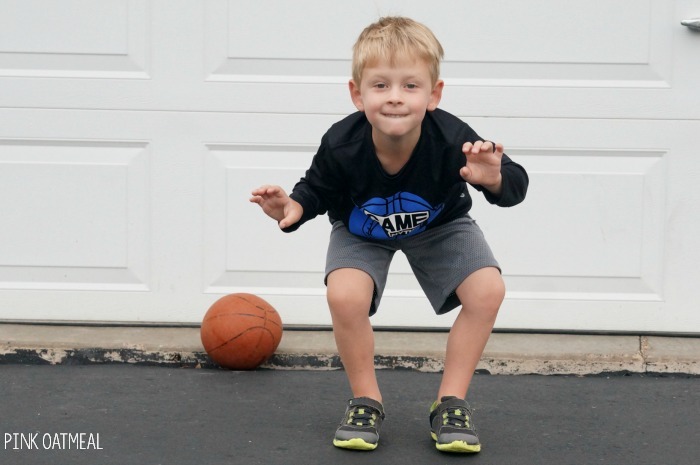 He constantly wants to go in the basement and “shoot hoops.” Thank goodness for unfinished basements! 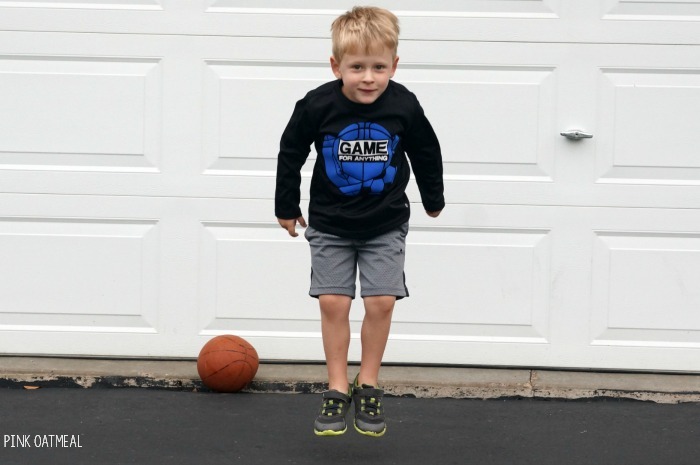 He isn’t the only kid I know who seems to really enjoy basketball. For that reason I have come up with some ideas to engage kids in movement with a basketball theme. 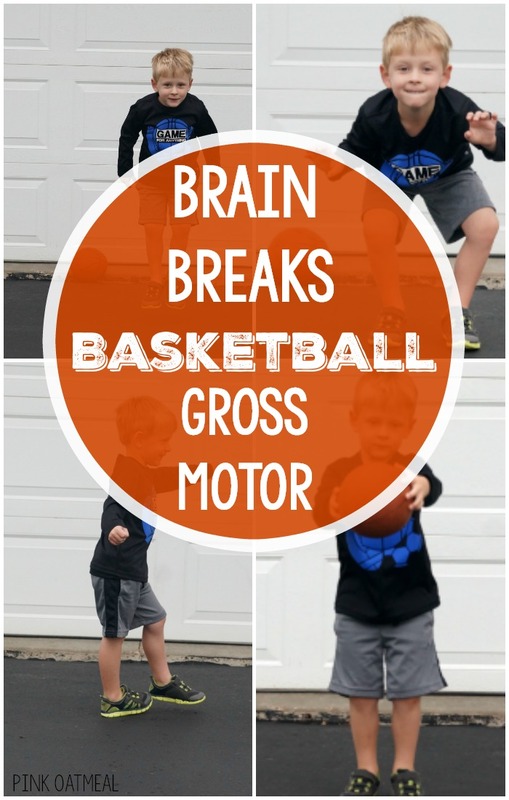 These basketball themed gross motor and brain break ideas are quick, fun, and easy to do almost anywhere. Nothing is needed but a little bit of space! When doing basketball themed brain breaks I am always flexible with how to use them given the situation. Some of my kids like to pretend they are a certain player or playing against/for a certain team. 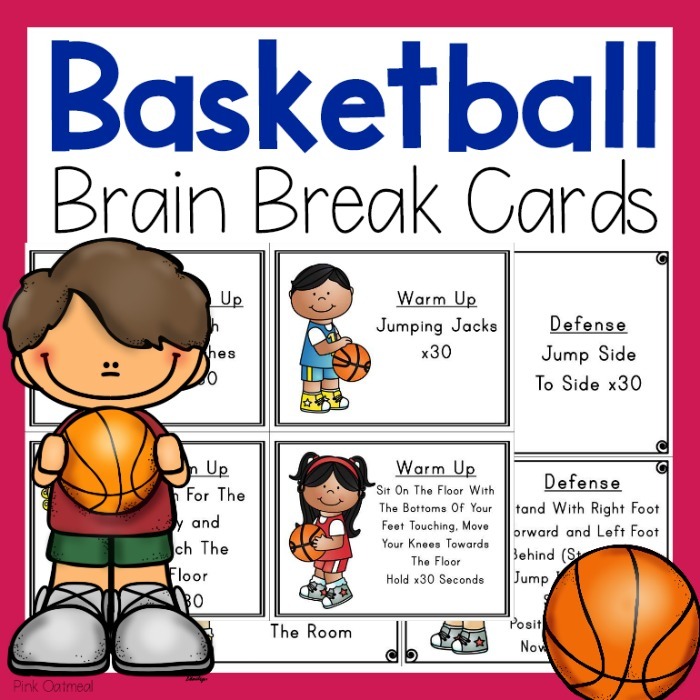 Here are some of my favorite ways to incorporate a basketball theme into brain break ideas. Duration and repetitions can be decided based on your situation. These are great during basketball season and especially at tournament time! The great news is you can also get ready made basketball themed cards in the shop or at TpT! Patterning (Example: Jump, Spin, Clap Repeat) Use a variety of movements in different order and make it fun! If you love the idea of basketball brain breaks but don’t want to put it together yourself I don’t blame you! I have a full set of 48 cards available at the shop or in my Teachers Pay Teachers store for download. It can also be bought in a bundle along with my baseball and basketball brain breaks. Get the bundle in my shop or at my Teachers Pay Teachers store. They are a fun and exciting way to get the kids moving. They are perfect to incorporate into stations, baseball units, morning meetings, or as brain breaks. Make movement fun!